The colder it gets outside, the hotter it gets at festivals. Check out where you can see Polish short films in November. The festival month begins with the screening of "Cradle Me" directed by David Tejer, which will be presented at Asiana ISFF in Korea, and the screening of "Daughter" by Mary Tamkovich, which takes part in the national competition of Listapad Festival in Belarus. On November 1st Leeds International Film Festival started in the UK. The audience in Leeds have a chance to see "Oh God!" by Betina Bożek, "Morning Has Broken" by Olga Chajdas and "Tremors" by Dawid Bodzak. Apart from Leeds, Dawid Bodzak's short fiction film will be presented in November at seven festivals including Cottbus Film Festival in Germany, Ljublijana IFF in Slovenia, Zagreb Film Festival in Croatia, International Eskisehir Film Festival in Turkey, Cologne Short Film Festival in Germany and VGIK International Student Film Festival in Turkey. 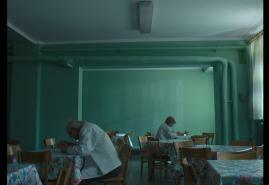 The Turkish festival will also show "Tenants" by Klara Kochańska. "Bogdan and Rose" by Milena Dutkowska is also awaiting numerous screenings this month. This short film will be shown at Alcine Festival in Spain. Other films invited there are "Milk" by Urszula Morga and "Nothing New Under the Sun" by Damian Kocur. At the same time, also in Spain, International Festival of Documentary and Short Film of Bilbao ZINEBI will take place. In the festival's program we can find "Heimat" by Emi Buchwald and "The Other" by Marta Magnuska. Alicine is not the only festival screening for "Bogdan and Rose" in Spain in November. The film will also visit Soria International Film Festival together with "Morning Has Broken" and two short documentaries. "Bogdan and Rose" was also invited to Brest European Short Film Festival in France. In the festival's program we can find as well "Wonder Girls" by Anastazja Dąbrowska, "Ravik the Steppe Turtle" by Michał Chmielewski and "The Best Fireworks Ever" by Aleksandra Terpińska. Terpińska's short film will also be shown at Princeton Independent Film Festival in the US. 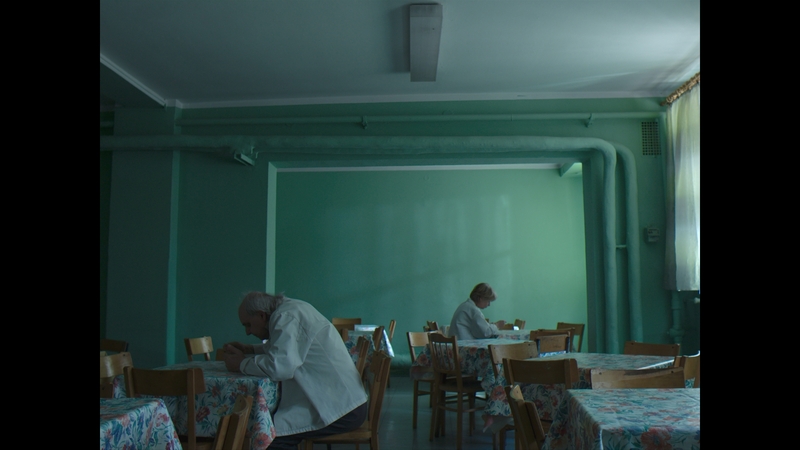 In the first half of the month Cellu l’Art Polish Shorts Day will take place in Austria, where five Polish short films will be presented, including one fiction film – "Me and My Father" by Alek Pietrzak. On November 10th Reggio Film Festival begins in Italy, where we will see "Evil Deeds" by Piotr Domalewski and "Romantik" by Mateusz Rakowicz. Half way through November KIN festival will take place in Armenia, where following shorts will be presented: "Casting" by Katarzyna Iskra and "Milk". Urszula Morga's film will be shown one more time in November – at Shorts That Are Not Pants. It will be joined there by "Bogdan and Rose", "Bernard" by Anna Oparkowska and "Short Distance" by Giovanni Pierangeli. At the end of the month Cairo International Film Festival in Egypt will present a short film "Lesson" by Julian Tałandziewicz. A strong representation of Polish productions will also be present at short and animated film festival Kinofilm in Manchester. The short fiction films presented there are "Tremors" and "Dreaming of Warsaw" by Mateusz Czuchowski. The month will end with Poitiers Film Festival in France. The films invited to the competition include: "Tremors", "Dregs" by Kordian Kądziela and "It's Really Awesome" by Katarzyna Warzecha. You can read about screenings of short documentaries on Polish Docs website, and about animations – on Polish Animations website. The full list of festival screenings in available here.